Thanks very much to all families who recently submitted their re-enrollments, enabling us to commence the ’19-’20 course registration process for these students. They have been working closely with their teachers and advisors to develop their preferred course selection for September. We are currently developing sectioning forecasts and a schedule template designed to best accommodate the choices of all re-enrolled students with the goal of having draft schedules prepared for students later in the spring. This annual process is an exciting and important exercise to help assist students in looking ahead, setting achievable goals, and planning appropriately for next year. Of course, we are also quickly approaching the time when our senior class will be graduating. Our final two Senior Speeches of the year were delivered last Friday, culminating another terrific year of shared stories, memories, and experiences. 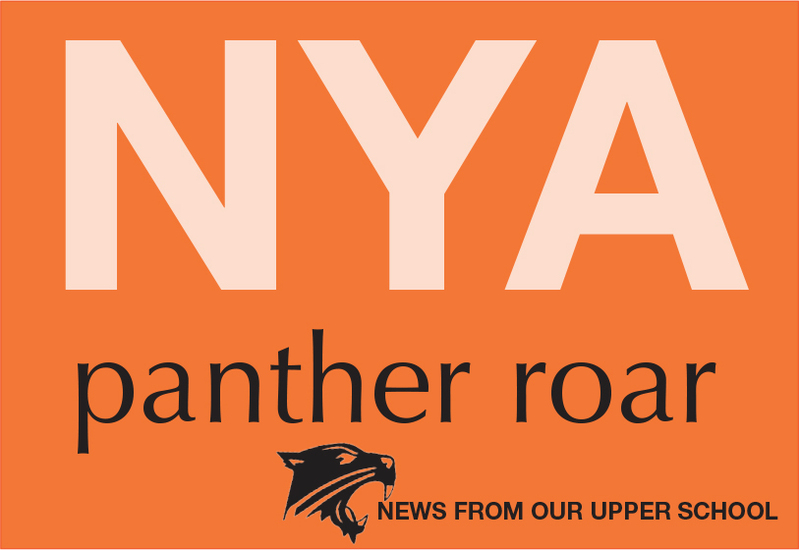 With only four weeks of classes now remaining in their high school careers, the Class of 2019 continues to do great work in their senior year at NYA. We are proud of each one of them, and we very much look forward to celebrating their achievements in the coming weeks! NYA sent its top ten mathletes to Augusta on Tuesday, April 2 to compete in the Maine State Math Meet. 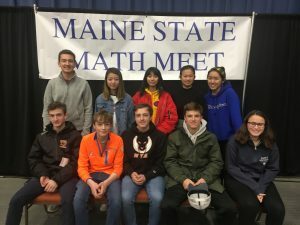 There were 96 Maine high schools in attendance including 26 in NYA’s division The NYA Math Team finished first for the state meet and second for the regular season in our division. The top scorer for NYA at the state meet was Ashley Ren. Ashley was recognized for having the seventh highest score among juniors in the entire state. In addition to Ashley, the following students competed at the meet: Andrew Schaeffer, Hannah Gagne, Xander Kostelnik, Aidan Yilmaz, Cindy Lin, Abby Xu, Candice Wang, Cam Goodrich, and Jack Schaeffer. Congratulations, also, to Coach Reggie Hackleman on another fine season! A hearty congratulations to all 22 students who worked so hard taking their AAPPL language exams last Saturday. These exams tested students’ proficiency in speaking, listening, reading, and writing in a second language, and they are the first step to earn the Seal of Biliteracy at graduation. On Thursday, April 11, David Bidler, owner of the Distance Project, a performance center in Freeport, will give a presentation in Freshman Seminar about breathing to change physiology and performance. 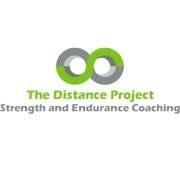 Later in May, the ninth grade students will go to the Distance Project to participate in more breathing and performance activities. In upcoming sessions, we also will be covering topics including healthy communication, scientifically-based information on alcohol and drugs, sexual health, and healthy relationships. Parents are strongly encouraged to engage in conversation with their children at home as well. Casco Bay Can has useful resources for facilitating these type of conversations. Please contact Ashley Moody or Michelle Napoli with any questions. 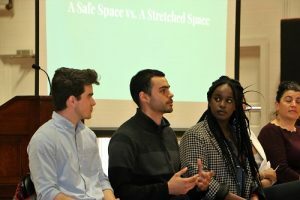 Last week, the Upper School gathered to hear from a collegiate student panel about a youth-driven dialogue program called CivilTea, a program model for building skills in communication, leadership, and listening. 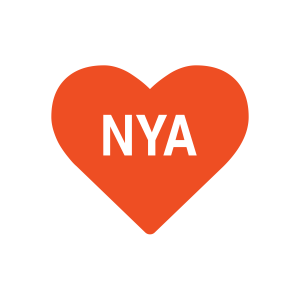 This model provides a platform within a school community to support student dialogue that emphasizes respect, compassion, and openness – all values NYA strives to instill. Through this program, students interested in leadership and social advocacy can participate in facilitator training, aimed to build the skills necessary to hold peer conversations about challenging topics such as stereotypes, bullying, social media, gender identity, and racism. These student facilitators then work directly within the school community to engage further and deeper into issues relevant to the students, faculty, and staff. We look forward to exploring the student benefits of this program as a potential component of the Diploma with Distinction in Social Advocacy. 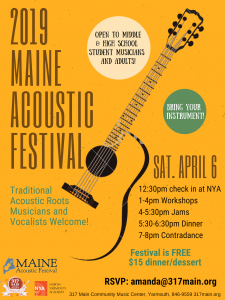 NYA just co-hosted (along with 317 Main Street) the seventh annual Maine Acoustic Festival on Saturday, April 6. 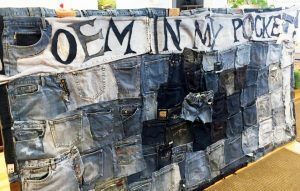 The event included workshops, a shared meal, performance opportunities, and a Contradance for roots music students and adults from around Maine. Congratulations to NYA’s Bluegrass Band, which performed alongside several other student groups from around Maine. 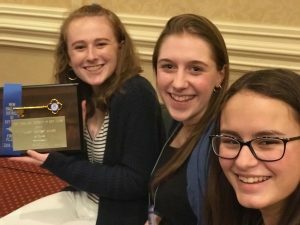 From April 5-7, five members of the Key Club and club advisor Eliza Alexander attended the 70th annual Key Club District Educational Conference in Springfield, MA. Students participated in a variety of activities emphasizing leadership and service to their communities. They joined a large number of students from throughout New England and Bermuda for this year’s “Aloha” themed conference. Congratulations to Ellie Hilscher for winning first prize at the talent show! All chorus students in grades 6-12 should be dropped off at Yarmouth Performing Arts Center (YPAC) at Yarmouth High School before 8:00 a.m. on Friday, April 19. Attendance will be called in from that location. Chorus students who walk or travel to school by bus should be at the Ice Arena parking lot by 7:50 a.m., and will travel to YPAC by NYA minibus. Tuesday, April 23: Strings Concert, featuring all NYA string players, grades 3-12. This concert will take place in Safford Center. The concert starts at 6:30 p.m., and students should arrive no later than 6:00. Thursday, April 25: Instrumental Concert, featuring an array of NYA instrumental groups. The MS Band will perform at the concert, as will many of the US instrumental groups. This concert takes place in the NYA Gym, and starts at 6:30 p.m. Band students should arrive no later than 6:00. Sophomore Alaina Rauf is organizing a book drive at NYA as part of a project to create Mobile Libraries for underprivileged children in the northern part of Pakistan. The project is called Aagahi, an Urdu word which means Awareness. Students can bring in books of any variety (old or new, picture books, children’s books, fiction, nonfiction, textbooks, etc.) for the book drive. Collection boxes labeled by grade are located in the library. Book donations should be put in the appropriate class box from now until May 1. The class with the most book donations will celebrate with a free Dress Down Day and special baked treats! 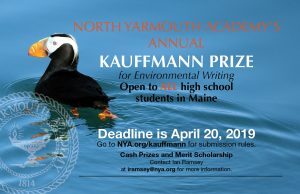 NYA’s Kauffmann Program is excited to be sponsoring the third annual Kauffmann Contest for Environmental Writing. 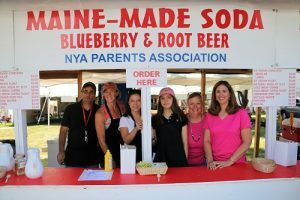 The contest is open to all Maine high school students and the entry deadline is April 20. Winners receive cash prizes, have their writing published online, and get the chance to participate in a reading ceremony. 5/24 Memorial Day Flagpole Ceremony, Curtis Lawn 7:50 a.m.
5/30 Senior Service Projects Discussion & Marching Practice 12:00 p.m.
5/30 Seniors & Parents Dinner, NYA Gym 6:30 p.m.
5/31 Last Day of School; Awards & Fun Day 8:00 – 1:00 p.m.
6/2 Commencement, Curtis Lawn 2:00 p.m.